A metal pen with a sleek attractive design that is an absolute dream to hold in your hand and write with. 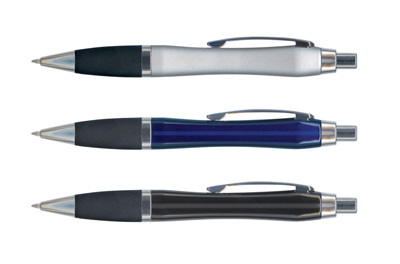 Features: Retractable brass barrel pen with a soft rubber grip. Laser engraves to a brass colour. Refill Type: Blue ink PEN TRENDS Large Volume refill with 2300 metres of writing ink. Black, Red and Green ink is available for an additional charge.